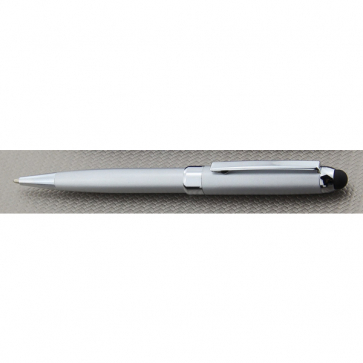 Twist action stylus ballpen with lacquered matt silver barrel and shiny chrome trim. Fitted with a high quality German refill with black ink. 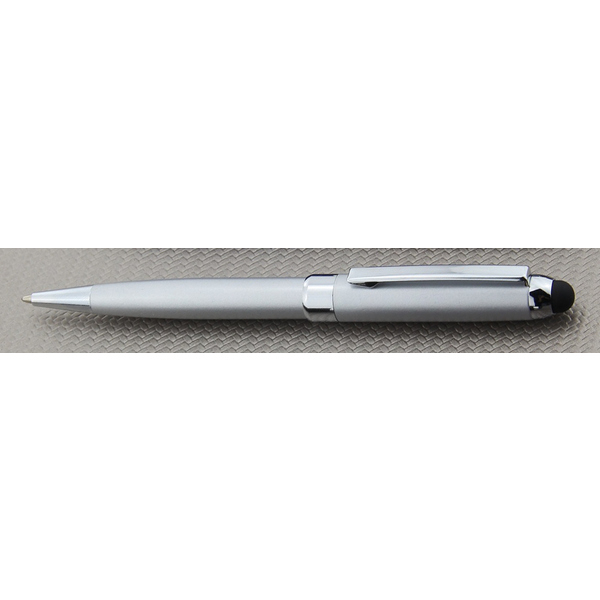 This pen can be custom engraved with your company name or logo for outstanding branding.